On Friday, September 2nd, the International Relations Office and the student association (BDE) were happy to welcome at INSA Strasbourg the freshly arrived international students ! 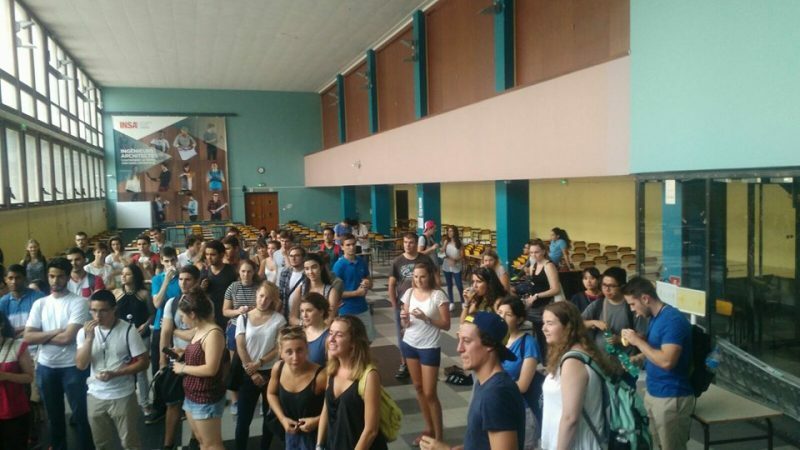 They took part in a treasure hunt in the INSA building and on campus. About a hundred students from various countries were split together with their French buddies into 11 teams. The game offered them the opportunity to discover the school premises and to meet with their buddies for the first time. Many thanks to all those who contributed to the success of the treasure hunt game. We look forward to seeing the international students with their French buddies again on Friday, September 9th at 6 PM in “Salle Topographie” at INSA Strasbourg for the award ceremony. Partager la publication "Treasure hunt at INSA Strasbourg : First convivial meeting of the freshly arrived International students with their French buddies"
Ingénieur, entrepreneur et double diplômé franco-allemand : c’est possible !